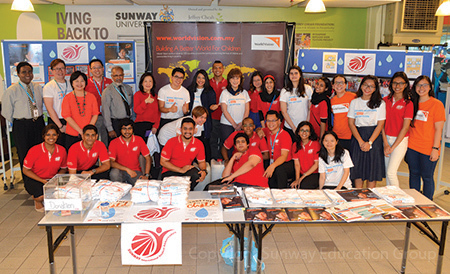 Leveraging the university students’ active involvement in extra-curricular activities, World Vision Malaysia hopes to receive massive support and response for this project. Volunteering students will be tasked with fundraising challenges of carrying water bottles filled with dirty water for 30 days wherever they go. They will explain facts about clean water to the people they meet to raise funds for the cause. The collected donation will be contributed to the greater target of RM3 million that World Vision has set. The funds will be used to support Education, Health and Clean Water Project to aid children and underprivileged families from eight developing countries including Malaysia, Indonesia, China, Myanmar, Mongolia, Lesotho, Vietnam and South Africa. 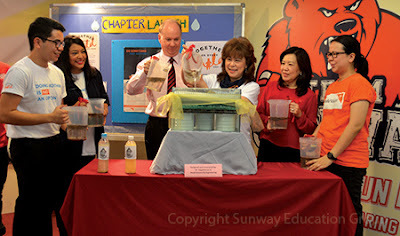 “It is for these very reasons that the Sunway Education Group is supporting this campaign,” said Dr Lee, adding that Sunway students will be able to create an awareness on water efficiency through this campaign. 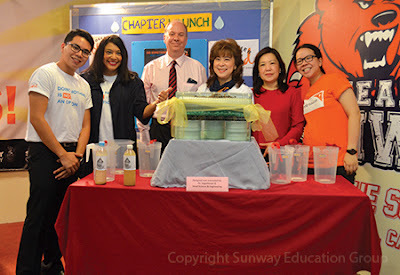 The Clean Water Project is one of many Sunway University’s employee and student voluntary initiatives in providing holistic education to enhance employability. According to the Student Barometer Survey Entry Wave 2014, Sunway Education Group is ranked Asia’s No. 1 in Graduate Employability, proving that students’ involvement in extra-curricular activities is one of the increasingly sought-after employment factors.